Confluence, the name given to the center of the Freshkills Park site by James Corner Field Operations in the 2006 Master Plan, is also the name of the boat tour co-organized by Dylan Gauthier and Mariel Villeré (NYC Parks) with Classic Harbor on October 9, 2016. The tour convened artists, designers, members of the public, and the regional boating community around environmental issues related to the waterways, waterfront, and art. From the Hudson River through Buttermilk Channel, the Kill Van Kull, the Arthur Kill and into the Fresh Kills waterways, the boat tour on October 6, 2016 considered the flows of the city through water, a changing waterfront, and artists as catalysts and contributors to the changing urban landscape. Artists Mary Mattingly, Lize Mogel, and Nancy Nowacek discussed their respective artist-created infrastructure projects and architectural tour guide Arthur Platt, AIA contextualized this vein of water-work along the periphery of New York Harbor. As we cruised along the West Shore of Staten Island and into the central creeks of Fresh Kills, Mariel Villeré, Manager for Programs, Arts and Grants for Freshkills Park, guided us through the history of Fresh Kills Landfill and its transformation into Freshkills Park, a new “Confluence” situated at one of New York City’s furthest extents, the West Shore of Staten Island. Artist and Confluence co-curator, Dylan Gauthier, moderated a discussion between the artists and their work spanning food production and waste, citizen infrastructure, and water(front) reclamation. 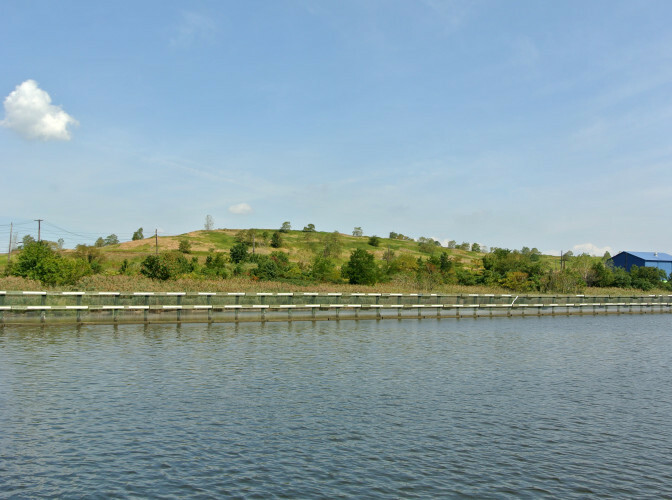 Confluence is made possible, in part, by funding from the Shelley and Donald Rubin Foundation, Tauck/Ritzau Innovative Philanthropy, and in partnership with Classic Harbor Line, the Freshkills Park Alliance, and the City of New York. DYLAN GAUTHIER is a Brooklyn-based artist, curator, and writer who works through a deeply engaged artistic practice that is centered around ideas of ecology, architecture, collaboration, invisible infrastructure, and utopian systems. He is founder of the eco-art and boatbuilding collective Mare Liberum (2007), and of the Sunview Luncheonette (2012), a center for art, community, and innovation in Greenpoint, Brooklyn. His work has been shown at the Parrish Art Museum, ISCP, the Brandywine River Museum of Art, Carpenter Center for the Visual Arts at Harvard University, EFA Project Space, MASS MoCA and the Walker Art Center among other venues. In 2016 he is an Emerging Artist Fellow at Socrates Sculpture Park in Long Island City, NY, and the inaugural Artist-in-Residence at the Brandywine Conservancy and Museum of Art in Chadd’s Ford, PA. In 2015 he was awarded the NEA supported Ecological Artist Residency at the International Studio and Curatorial Program (ISCP). His water-based projects with the collective Mare Liberum, which he co-founded in 2007, can be viewed at www.thefreeseas.org. MARY MATTINGLY creates sculptural ecosystems in urban spaces. With the NYC Urban Field Station, she is working on a floating food forest for New York called Swale. She recently completed a two-part sculpture, Pull, for the International Havana Biennial with the Museo National de Belles Artes de la Habana and the Bronx Museum of the Arts. Mattingly’s work has been exhibited at the International Center of Photography, the Seoul Art Center, the Brooklyn Museum, the New York Public Library, deCordova Museum and Sculpture Park, and the Palais de Tokyo. In 2009 Mattingly founded the Waterpod Project, a barge-based public space and self-sufficient habitat that hosted over 200,000 visitors in New York. 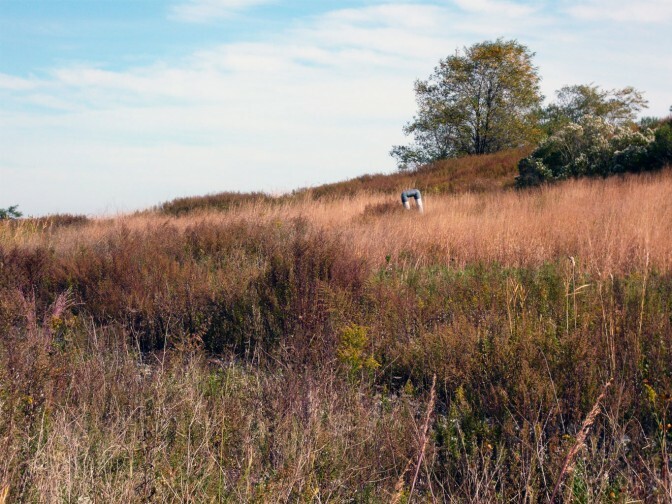 Mattingly has been awarded grants and fellowships from A Blade of Grass, the James L. Knight Foundation, Eyebeam Center for Art and Technology, Yale University School of Art, the Harpo Foundation, NYFA, the Jerome Foundation, and the Art Matters Foundation. Swale, Mattingly’s newest project, is a 130 ft. by 40 ft. barge that houses “an edible living system.” Annuals and perennials such as gooseberries, lemon balm, yams, and strawberries co-habitat the garden beds and are irrigated by a mix of rain and river water, filtered on board. Collaborating with community groups, students, artists, and the US Coast Guard to bring Swale to life, the project opened in July at Concrete Plant Park in the Bronx and is now is docked at Brooklyn Bridge Park. a project that significantly influenced the conversation and production around mapping and activism. Mogel’s exhibitions include the Sharjah (U.A.E. ), Gwangju (South Korea) and Pittsburgh Biennials, “Greater New York” at PS1, and “Experimental Geography.” She has lectured extensively about her work nationally and internationally, including at the 2013 Creative Time Summit. Past works include “The Sludge Economy,” which made visible the infrastructure of human waste – specifically sewage treatment plants; and the social, environmental, and racial justice issues that are sometimes equally as invisible as the physical infrastructure. She is currently working on a new counter-cartographic project “Walking the Watershed,” that explores the physical, social, and political geographies of the watercourses, lands and communities that supply NYC with water. NANCY NOWACEK is an artist whose work is rooted in the processes, codes, and habits of life. She focuses on the uses of the body in modern technologies—from iPhones to television to architecture—through labor and leisure, nature and the built environment. Her work examines the gulf between late-capital post-industrial time-sense and body-sense, where physique has been eclipsed by machines as valuable technology. Engaging grammars of exercise, dance, architecture, labor and leisure, she aims to challenge and reshape the contemporary body schema. She makes sculpture, performance and environments that collapse thinking into doing, and reinstate the body’s relevance as functional object, tool, and site of knowledge and imagination. Nowacek’s project Citizen Bridge (2012), a floating pedestrian sculpture to reclaim the waterways as public space, envisions a temporary floating pedestrian bridge for passage between Brooklyn and Governors Island. Inspired by Walt Whitman’s report of farmers once walking their cows across Buttermilk Channel at low tide, the project aims to reconnect New Yorkers to their waterways, reclaim the waterfront step by step, helping New Yorkers gain agency over their bodies in relation to the water, a necessity in the new reality of living in a sinking city. Other recent works include: CB Radio (2015-2016), a radio show/podcast series in collaboration with Jake Nussbaum for Clocktower Radio (Listen: clocktower.org/series/cb-radio); Governors Islands (2012), a proposal to construct more islands in the East River; Horizon line (2012): Performance work mapping a route from the center of Brooklyn to occupy the water.